I try to make my activities seasonal where possible because it helps ground the residents in the here and now. 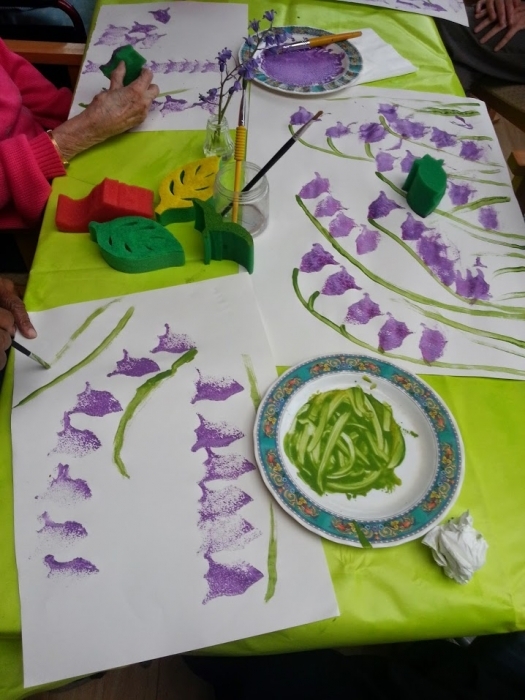 This leaf printing one is good for early autumn and they really enjoyed it as it is simple exercise and almost “failure free” which is a big thing for us. The problem with that concept is its hard to have the sense of pride or acheivement, but this activity did bring those, with everyone passing by giving nice compliments which helped too. 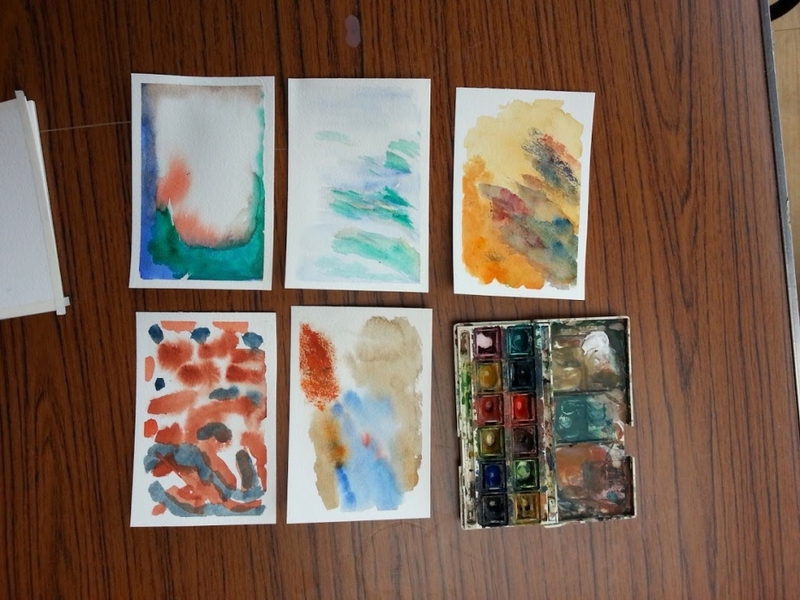 Abstract watercolour painting at a dementia nursing home. 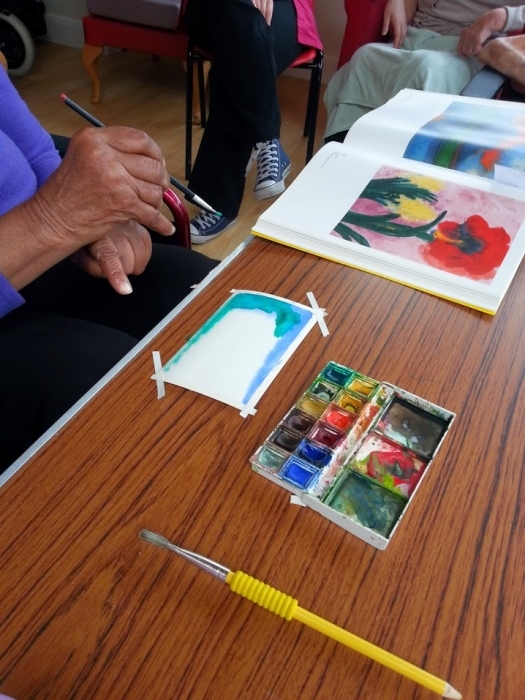 We looked at a big beautiful book of paintings which helped inspire and interest the residents. Simple printing with a bluebell shaped sponge (and real bluebells on the table). I like to use natural, seasonal, familiar items for inspiration and reference. Collage with patterned/textured papers. Each resident approaches the collage with different ideas. For example, the client who made the top left collage didn’t speak but wanted to organise the shapes very neatly on the page. 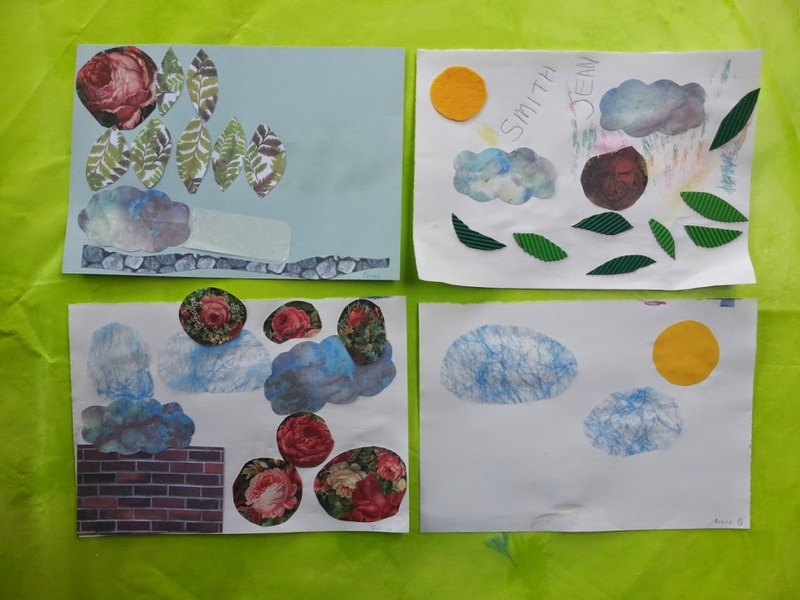 The client who made the bottom left collage was hoping for a sunny day, and chatted a lot. I also like to make collages with personal items such as pictures related to hobbies and places of interest, or photocopies of family photos and pets. I can’t really put most of those on the internet though, which is a shame!